Fun is a necessary element of our life and we cannot imagine a happy life in its absence. There are various ways through which we can bring it and meme pictures are one very popular and well-known method. All of us are aware of the funny meme pictures that are so liked and admired by people from all age groups, especially youngsters. We have come across them on various platforms especially social networking sites where they are shared a lot. The meme concept refers to the use of video, image, hyperlink, etc. on the net in a manner that it becomes viral. The meme pictures that are funny are created on various themes. You can find a lot of variety and creativity in their different approaches. They take dig on our hypocrisies and also teach valuable lessons, in a light manner. This is why they are so viral or rather say popular among the masses. 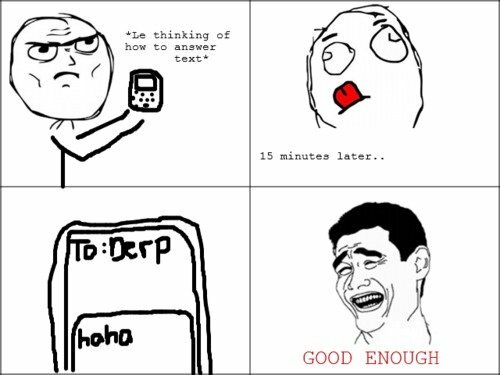 So, today we bring for you a collection of 25 funny pictures based on the meme concept. Take a look and enjoy the cool images. We are sure you will find them freaking humorous. If you liked our selection, perhaps these other posts will interest you too, Pin Up Girls Pictures, Victoria Justice Pictures, Kobe Bryant Pictures and Pictures of Baby Shower Cakes. What a cruel funny situation it is when one is interrupted while listening to one’s favorite music. This happens often and the innocent child’s honest admission of age creates an embarrassing situation for the parents. This one is really cool and makes you think about your own stupidities that are too funny in essence. It always gives one a blissful feeling when one does something stupid in class and others also follow the act. Cool, funny meme picture based on the flirting theme, showing a boy and girl making interesting comments. Funny to the core; this meme shows the pacman making mockery in background that is sure to make you laugh. 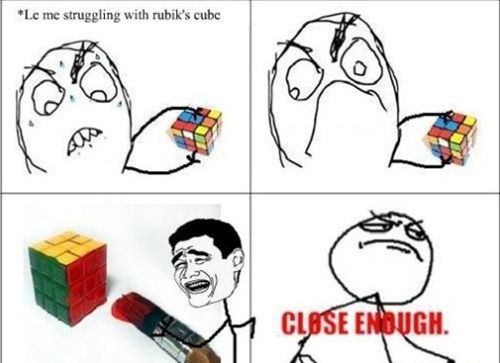 Meme guy struggling with Rubik’s cube and just when he is close enough to getting it right, it is set correctly by someone else. One can’t help but laugh at this foolish meme who does not know how stupid he is and considers his foolishness to be an achievement. If you love the pacman games then you are sure to find this meme interesting and funny as well. One look at this cool picture and you are sure to roll over the floor laughing. Students are always irritated by their teachers’ overzealous, studious drives and make funny, sarcastic comments about the same. Full on funny picture that also breaks the myth that pink and pinky are girl’s domain, in a cute and comic manner. The intelligent and innocent questions of children create funny situations and leaves the parents embarrassed. The world is a funny place to live in; thanks to the perspectives people hold about those who look different from them. 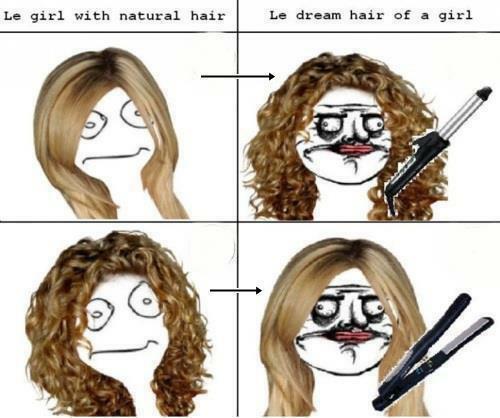 Funny meme that takes a dig at the excesses girls indulge in when it comes to grooming and doing their hair. What is it like to eat the same food over and again, has been represented in a funny manner in this meme picture. What a funny idea the guy got after fifteen minutes of pondering; it is completely hilarious. Rewind to the old and cute classroom memories with this lovely, funny meme picture that throws light on the thoughts of students. 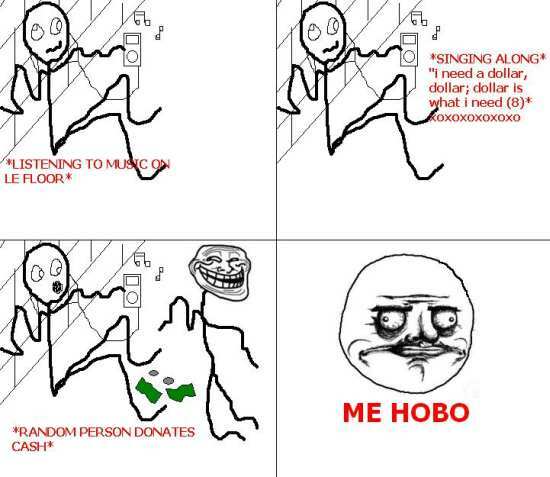 Humorous meme picture that makes one laugh and also teaches one not to complain unnecessarily about things. This is the beauty of intelligence, it can answer embarrassing questions in a funny and smart manner, arousing laughter from all and one. Fabulous comical picture that would surely ring a bell in the hearts of students as it happens with most of them. What a sweet and comical situation, this funny meme picture, presents on the issue of being gay. Watch out the hilarious outcome of singing initiated by this guy; it brought him dollars from unexpected corner. The swift, witty thought, that is not expressed, makes one smile and we must say that smart answers are very funny, at times. The boy was so happy at the prospect of getting his glasses but little did he know that it would produce a rainbow sight for him.